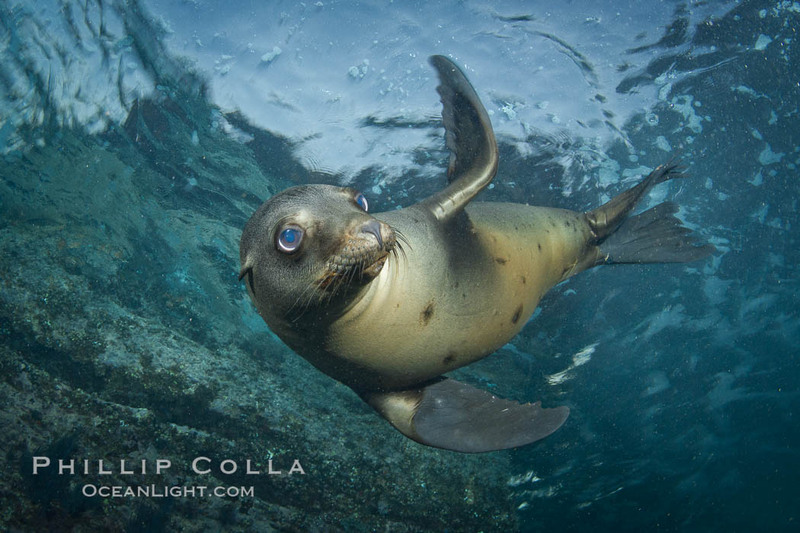 Los Islotes, the small island just off the northern end of Espiritu Santo in the Sea of Cortez, is my favorite place in the world for photographing California Sea Lions (Zalophus californianus). These wonderful pinnipeds are very comfortable with the presence of, and famous for the willingness to interact with, divers in the water. 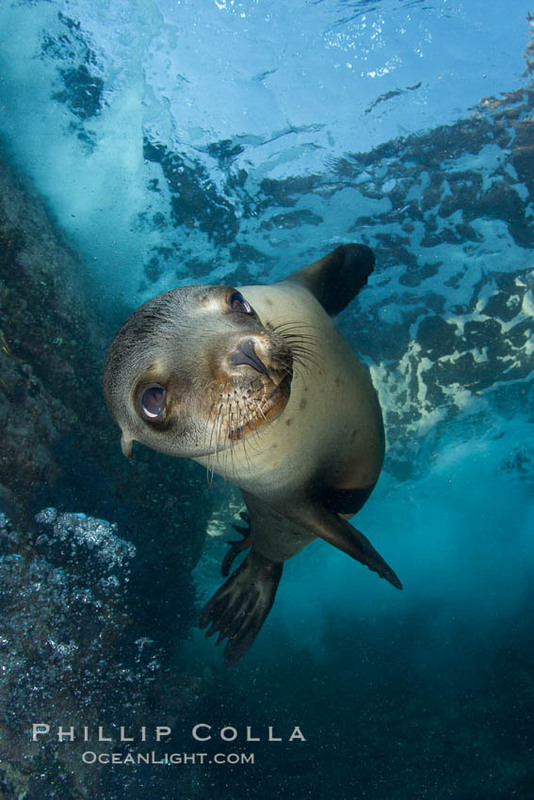 Shooting portraits of sea lions is a piece of cake, the photos almost take themselves. Plus the diving tends to be shallow and calm so bottom times of a two hours can be easily had. Here are a few of my picks from my last visit to Los Islotes a few years ago. Cheers, and thanks for looking! 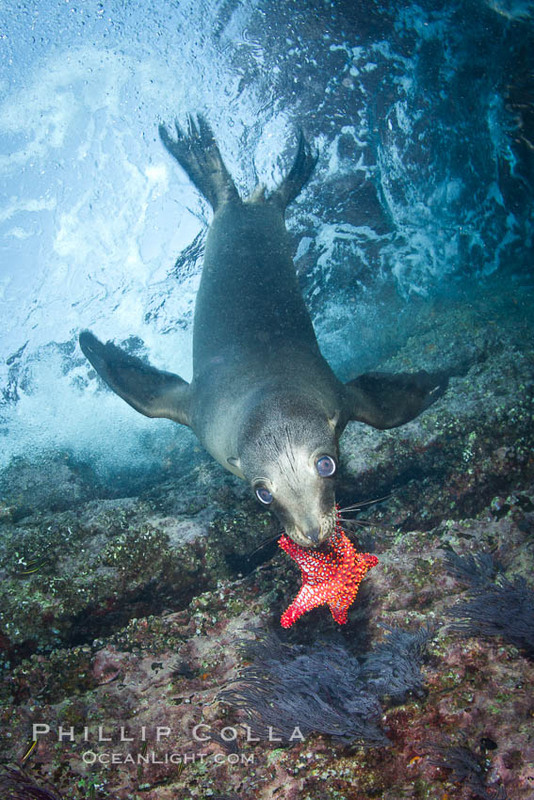 California sea lion underwater playing with sea star. Los Islotes is a small island at the northern end of Isla Espiritu Santo, near La Paz in the Sea of Cortez. Espiritu Santo Island and Partida Island are two beautiful desert islands, scalloped with gorgeous white sand beaches. Bird nest on their rugged slopes, and cardon cacti grow in abundance. All three of these islands are part of the Espiritu Santo Biosphere Reserve, named a UNESCO Biosphere due to the area’s biodiversity and beauty. 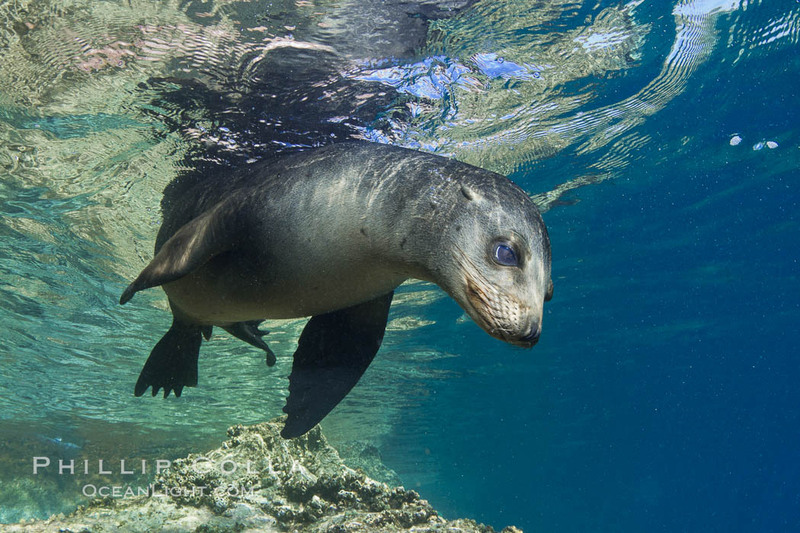 I have had the good fortune to cruise along both shores of Espiritu Santo and Partida but most of my time has been spent at Isla Los Islotes, diving and relaxing. In addition to the sea lions, these waters are full of many Sea of Cortez fishes. 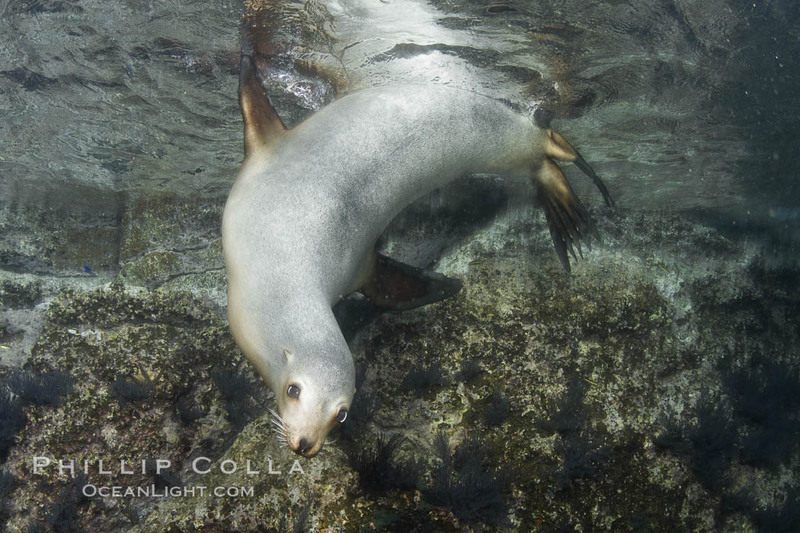 However, when I am at Los Islotes I basically ignore all else and just enjoy my time swimming with and photographing los lobos marinos.